2017 State Contest – Kansas Scholastic Press Association.. Welcome to the 2017 KSPA State Contest! The association is excited to host the hundreds of student journalists and their advisers from around Kansas during this exciting day of competition. The 2017 State Competition is scheduled for May 6, 2017 at the University of Kansas Memorial Union. Advisers and their competing students will join us on the University of Kansas campus for the 47th Annual State Contest and business meeting. This circumstance — with fewer than three honorable mentions — is more common in Regional Contests than the State Contest. However, advisers should be aware that it is possible. Regarding all photography and multimedia contests: when writing captions for the images or completing the multimedia coverage, there is no need to change the name of the school or the people in the photo to make the entry anonymous. Jerseys, t-shirts and signs in the photos often make it obvious to the judge what school is entering the contest. Students should please write the coverage and caption as they would for their publication. Also, students and advisers should know that captions are part of the judging criteria. These two contests — Multimedia Storytelling and Online Photo Gallery — are not included in the Regional Contests. For this reason, any KSPA member school student(s) may compete in these contests, regardless of whether they placed or even participated in the February round of regional contests. The prompts for these contests can be found in the heading for Digital Submission Prompts below. The two contests are . . .
Students may enter as individuals or in a team of no more than four students to create a multimedia story package based on the prompt. All entries will be submitted by creating a publicly accessible web page and submitting the URL. Students will produce original work and will use only lawfully acquired copyrighted material. Note: Because the web page for this contest will likely be part of your school’s online news site, this contest cannot be completely anonymous. Judges will be able to see the school identity for each entry by virtue of being on the school’s online news site. For that reason, students should credit the team members who worked on coverage in the entry with photo credits, bylines, etc. as they would normally. Each student will submit 5-8 original photos based on the prompt provided below. All photos should be related to the topic and should visually tell a story. Each photo should include a complete caption and the entire gallery should be submitted via URL. This contest will challenge photographers to tell a story with their photos involving people and their environment. This contest is about quality, not quantity. Note: Because the web page for this contest will likely be part of your school’s online news site, this contest can not be completely anonymous. Judges will be able to see the school identity for each entry by virtue of being on the school’s online news site. For that reason, students should provide themselves with a photographer credit as they would for a typical online photo gallery. KSPA awards a Sweepstakes prize for the school earning the most points with their entries at the State Contest. First place earns 5 points. Second place earns 4 points. Third place earns 3 points. Honorable Mention entries earn 1 point each. A Sweepstakes winner is named for 1A, 2A, 3A, 4A, 5A and 6A each. The Sweepstakes-winning school earns a trophy. A certificate in each division will be awarded to the Sweepstakes’ runners-up. Announcement of the schools earning Sweepstakes will be made on the day of the State Contest via Twitter at @kspastaff. Room locations may change based on the number of students registered. Registration: 8:15 to 8:45 a.m. Opening Session: 8:45 to 9:15 a.m. Session 1: 9:30 a.m. to 11 a.m. Session 2: 11:10 a.m. to 12:40 p.m.
Two contests (Multimedia Storytelling and Online Photo Gallery) will be at the state level only. See the heading for “State-Only Contests” above for more details. 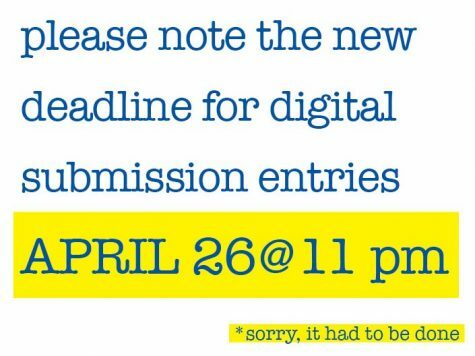 Digital Submission contests must be uploaded using the Better BNC online submission process. This system will allow upload of jpg (JPEG) files for photography contests and pdf (Adobe Acrobat) files for design categories. Almost every type of photography or design software should be capable of creating files for submission. Entries to the KSPA Regional and State Contests are submitted using BetterBNC Media Awards Platform. The system will allow for secure submissions, quick judging and high quality feedback. This document provides in-depth instructions, including video tutorials. Want to see the sheets that judges will use to find the award winners and give you feedback? BY BUS: If your group comes by bus, you may unload in front of the Kansas Union. The bus may be parked at the Lied Center (Lot 300) on west campus or Memorial Stadium parking lot at the intersection of 11th and Mississippi (assuming there is no sporting event). Buses should be attended when parked. BY CAR: The blue zones are metered until noon on Saturdays; the red and yellow zones are not metered at all. The Mississippi Street Garage (just north of the Kansas Union) has entrances on both Mississippi St. and Oread Ave. adjacent to the Union. Parking is $1.75 for the first hour, $1.50 per hour for each subsequent hour. This link introduces you to parking options near the Union. All entries must be registered and paid for by KSPA-member advisers by the deadlines listed on this page. Entries in Contests “A” through “V” must have qualified for State through the Regional Contest with an award of 1st place, 2nd place, 3rd place or Honorable Mention in the Regional Contests. Contests W and X are open to all students at KSPA member schools, regardless of awards or participation in Regionals. Students may only participate in five contest categories. Students will be expected to pay for their own lunch and lodging if they elect to remain overnight. Affordable lunch options may be purchased in the Market in the Kansas Union. For payment by check, please make checks payable to “KSPA” and send the check to KSPA, 1435 Jayhawk Blvd., Room 318, Lawrence, KS 66045. At the adviser brunch, which will begin at 9:30 a.m., we will recognize the Engel Award winner and other KSPA award winners. Please pay for the $16 brunch meal using the registration form link above. The KSPA business meeting will follow. Advisers may attend the business meeting without attending the brunch. The KSPA director is authorized to enforce the rules approved by the executive committee. If any adviser violates the rules, his or her students will be disqualified and the principal of the school involved will be notified. Advisers are prohibited from entering rooms where entries are being judged. Advisers are not to give advice or suggestions on carry-in contests. Student questions should be directed to the KSPA Executive Director Eric Thomas at staff@kspaonline.org. Any entries in the digital submission contest that are submitted to the incorrect contest before the digital submission deadline will be disqualified. Similarly, contestants who do not abide by the prompts’ requirement may be disqualified without refund as well. Awards and judging feedback will be mailed to students who place first, second, third or honorable mention in the contest. Schools must have paid State contest fees in order to receive awards and feedback. Entries will be returned the week following contest with the exception of those entries that placed first. The first-place entries will be saved for the KSPA publication “Simply Better,” and emailed to members in the fall. Judges will be university journalism faculty members, former high school advisers no longer employed by a school district, qualified journalism students and professional journalists. Judges are encouraged to make comments on the grading rubrics whenever time permits. Judges volunteer their services without pay: please understand that remarks may vary in detail and length. Students must remain on the contest premises where they are competing throughout the day. Advisers must accompany students to the contest site. KSPA will not provide any scheduled activities for digital submission entrants. As a result, unless these students are also competing in on-site contest, they need not attend the contest. High school journalists with special needs will be given an equal opportunity to participate in all contests sponsored or sanctioned by KSPA and the University of Kansas, which acts as host for the KSPA contest. If you or any of your students need to be so accommodated, please let the KSPA office know at staff@kspaonline.org or (785) 864-0605. Read about all of the KU Union dining options here. Entries for the t-shirt contest were due March 29. Each KSPA member school gets one vote in the State T-shirt Design Contest. ADVISERS: Click here to vote. All votes are due by noon on April 4. Copyediting Contest: Students will complete two different tasks in this contest (a previous example can be found here). First, students will respond to 25 different multiple choice questions with possible errors in AP style, accuracy, libel, attribution, grammar, spelling and redundancy. Students will respond with the best answer, which could be “no change” to the existing sentence. Students will also read a sample story. In response to the sample story, the student will provide feedback, coaching, notes of caution and encouragement to the writer. Students may use dictionary, thesaurus and AP style manuals. Personal listening devices, recording devices and personal computers are prohibited during the contest. Due to a technical glitch with our previous contest software, a Simply Better publication from the 2016 state contest is not available. Our apologies. To review the winning entries in every visual contest held at the 2015 KSPA State Contest in May 2015, click here. KSPA welcomes exhibitors who are interested in marketing to high school journalism advisers and their students. To read more about this opportunity for exposure and chance to support KSPA, please click here.